Rabbi Gary Greene has been the spiritual leader of Marathon Jewish Community Center since 2003. He previously served Temple Beth Sholom, Framingham, MA and B�nai Jacob, Springfield, MA. 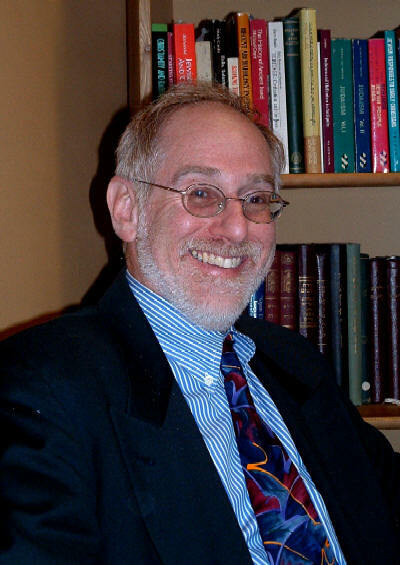 He graduated the Joint Program between the Jewish Theological Seminary and Columbia University in 1974 and Rabbinical School of the Jewish Theological Seminary in 1978. He is a graduate of Leadership Institute�s third cohort for Hebrew School principals. During his tenure here at Marathon, Rabbi Greene helped the congregation become an egalitarian synagogue. Now both men and women have equal access to the bimah and are counted in the minyon. In fact this past High Holiday period, 3 post Bat Mitzvah graduates chanted two haftorahs for the congregation. He also instituted the well attended Carlebach minyon, a seeker service, and the �Lunch and Learn� program. He has revitalized the adult education program as well instituted a family education tract, and an annual Israel Film festival. United Synagogue awarded him the Solomon Schechter Award for Adult Education in 2002. He has taught all ages of children in Hebrew School and at Camp Ramah in New England. Envisioning the future with the executive board and the board of trustees, he helped guide and shape Marathon�s vision statement for 21st century. In the community Rabbi Greene inspired and spearheaded the Northeast Queens Jewish Community Council�s participation in the annual Salute to Israel Parade which has grown to 11 participating congregations with over 400 marchers a year. . He helped refashion the community wide Yom Hashoa commemorative service. Rabbi Greene is happily married to Judith Diamond and together they have 4 sons, 3 daughters-in-law, and 1 wonderful grandson, Amichai, Hillel with Lily and our grandson Elisha, Doron with Rebecca, and Asaf with Valeriya.